Recruitment marketing refers to the strategies and methods of advertising that a company uses to attract, engage and nurture talent before they apply for a job. How a company approaches recruitment marketing for their vacancy can be crucial for the success of their talent acquisition plans, and for the companies that get it right there are loads of fantastic benefits on offer! Traditional recruitment leaves companies with a heavy reliance on job board activity and recruitment agency expertise in order to get their vacancy noticed by the right candidates, however companies that use a recruitment marketing approach can gain increased exposure on their vacancy and wider employer brand proposition. Recruitment marketing can take place across multiple channels including social media, email campaigns, print advertising, radio and even television, and focuses on getting a company’s message as much *relevant* exposure as possible for the best chance of securing an application. In some instances this exposure will result in a direct application off the back of a single advert, in many other cases it is this persistent brand messaging that will get your company recognised for future recruitment opportunities. Top Tip: As tempting as it is to get as much exposure across as many channels as possible, make sure you do your research and work out which platforms work best for which roles (e.g. some vacancies may perform really well on Facebook but get no traction on LinkedIn so use this information to tailor future campaigns). Top Tip: When using social media platforms such as Facebook and Twitter to build audiences try not to be too specific. A job title for example can be presented in a variety of ways so it’s important to include as many options to cover the candidate market you are looking to attract. Companies that decide not to bother with recruitment marketing lose a lot of control over how their company is perceived in the market. Your company may have a great environment and culture with lots of happy employees, but if you do nothing to communicate this then people aren’t going to know this. Worse still, if you have a few disgruntled ex-employees you may find that the only messages being shared about your organisation are negative (and frankly untrue) ones on platforms such as Glassdoor. These messages may not be directly marketed to your candidate market, but almost every candidate who considers applying for a role at your company will do a bit of research online before they do, and if all they can find are poor Glassdoor reviews then chances are they won’t send you a CV! Controlling the story isn’t about skewing the truth, but more about shouting about all of the positive aspects of working for your company as a way to attract and engage candidates. Top Tip: Define what your key EVP’s are (employee value propositions) and ensure you communicate these across your careers site, social profiles, recruitment correspondence and recruitment marketing campaigns to deliver a consistent message. For years marketing was looked at as a bit of a mystery. Companies would spend millions on billboard advertising, television adverts and product placement, and at the end of the year they wouldn’t really be able to tell if what they had done had worked. If sales went up, it may have been the result of a well-timed advert, but it could just be a coincidence! With recruitment marketing you are unlikely to have the same type of budget that your organisation attributes to their consumer brand, so that is even more of a reason to make sure you are spending your money in the right places. Digital marketing methods such as email campaigns and social media adverts give you visibility on all sorts of analytics, so you can track engagement, source of application, reach, click-through and more! These measurements will help you make more intelligent decisions for future campaigns to increase the overall ROI of all of your recruitment marketing initiatives! Top Tip: There are a lot of things you can track but it’s important that you keep an eye on the measurables that matter to you. This may be click through rates from adverts, measuring the cost per hire or tracking the time to deliver results. This is probably the most important benefit to note. A great recruitment marketing strategy is guaranteed to increase the amount of applications you receive. The more direct applications you get the better chance you will have of securing a great hire without having to rely upon external recruitment agencies to do so. If you really nail the messaging in your marketing and showcase the company culture and essence of your employer brand then you are also more likely to attract applications from people who would resonate with your brand too, meaning you have the chance of making a better-quality hire with someone who is likely to stay at your organisation for longer. Top Tip: It’s important to make sure you back up your talent acquisition strategy with a robust and efficient candidate journey. If you increase the amount of applications, you get the last thing you want to do is decrease the effort and attention you give to these candidates. The application is just step 1, if you fail to deliver at the next stage you are going to struggle to secure that all important hire. Where consumer marketing is often driven by one single department in your organisation, recruitment marketing can really benefit from involving individuals from across your whole organisation. If you are looking to attract a software developer then your marketing team may create a compelling campaign that shouts about why your organisation is a great place to work, but do not ignore the unique advantage that comes from someone within that exact department sharing their reasons to join too. The marketing team may be best placed to create a campaign, but nobody knows the intricacies and in-depth information about the role you are recruiting for than the people in that role themselves. 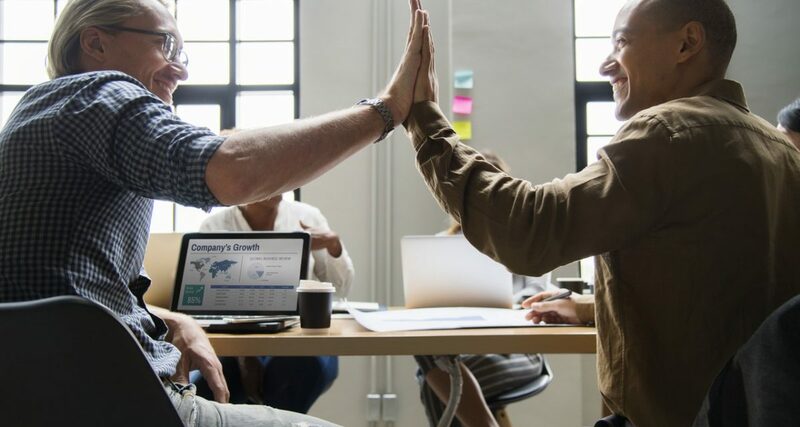 Empowering employees to get involved in your recruitment marketing campaigns can also increase employee engagement, and you are more likely to generate employee advocacy off the back of a campaign that features your employees than one that doesn’t. Top Tip: Not sure how to best involve your employees? A simple Q&A can form the basis for a great blog to give an insight into your company culture and life in your specific departments. Unfortunately there are a lot of organisations that still look at recruitment marketing as an unnecessary cost. If you do absolutely no marketing right now then you are going to incur extra costs either by employing someone to look after recruitment marketing, using budget for things like social advertising or purchasing new technology to help you showcase your employer brand. Some companies are so blinded by this cost (which is often minimal in the grand scheme of things) and fail to understand how they will save over time. To make it simple take a look at your source of hire for the last year, with each hire take a look at the costs (e.g. recruitment agency fee, job board advert, referral etc.). Investing even a small chunk of this amount into recruitment marketing could allow you to secure multiple direct applications, reducing your overall recruitment costs even with the additional marketing spend. Top Tip: If you want a bigger budget to spend on recruitment marketing then you need to make a business case for your Director / Manager to demonstrate projected ROI and specifically show how it can save you money on recruitment in other areas (e.g. less reliance upon recruitment agencies). Is your Applicant Tracking System Hindering your Recruitment Goals?